Congratulations to NEB customer, LUPA OF LONDON, on a well-deserved win of the inaugural RORC Transatlantic Race! Before the Transat Race from Lanzarote, Canary Islands to the Caribbean Island of Grenada, LUPA OF LONDON came to NEB for refit and paintwork. 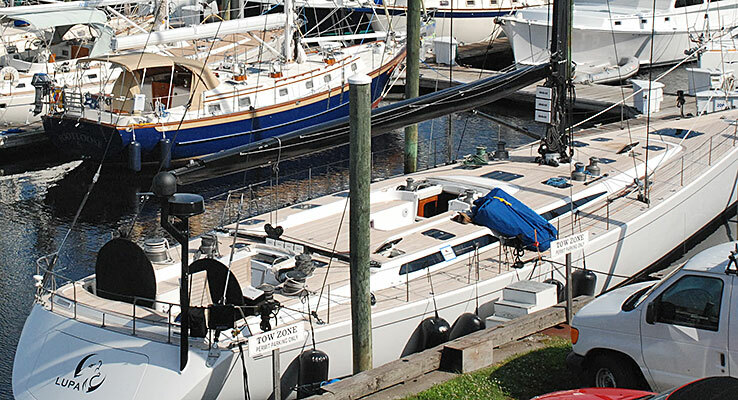 The team at NEB produced several performance enhancing modifications including a new carbon fiber rudder and canard for this well-travelled performance cruising yacht. We are very excited to see the team’s success! Link to RORC website newsflash.